My thoughts and prayers go out to the Michael Brown family and police officer Darren Wilson. What happened in Ferguson was tragic. Nothing can change what happened, and the issues surrounding the case should not now be ignored. Changes have to be made and I encourage people to work together to make those changes happen. But what does pillaging and violence have to do with protesting a violent act? If you answer violence with violence, what are you gaining? What example are you setting? And how can you yourself be violent and participate in violence when you are supposedly protesting against it? Ferguson, Missouri is smoldering because a bunch of people didn’t like the Grand Jury decision over the Michael Brown death and whether police officer Darren Wilson. Business buildings were burned down — businesses who faithfully served the community for years upon years, in flames because of something they had absolutely nothing to do with. What kind of sick minds think that doing anything like that is productive? Matthew 5:39 But I say unto you, That you resist not evil: but whosoever shall smite you on your right cheek, turn to him the other also. The word “smite’ means to slap. Jesus described someone slapping you, not someone with the intent to mame or kill you. I do believe you have a God-given right to defend yourself in the face of danger and I think that goes beyond being hit on the cheek. I’ll let you settle that in your own heart, but violence is not the answer to violence unless you are in the act of protecting yourself. Answering violence done to someone with violence against a completely unrelated entity is just as bad as the act being condemned. Only more violence is produced. Nothing changes, more lives are hurt, more property is damaged and the cycle of evil continues. I don’t own a gun. I don’t like them. Many of my friends own guns and I do believe in the right to own and use them. They just aren’t for me. I have the name of Jesus Christ to defend myself, and if the Lord doesn’t defend me, I won’t blame him. I guess I”m like Daniel who was threatened with being thrown into a furnace of fire by King Nebukaddnezzar. Daniel 3:16-18 Shadrach, Meshach and Abednego replied to him, “King Nebuchadnezzar, we do not need to defend ourselves before you in this matter. If we are thrown into the blazing furnace, the God we serve is able to deliver us from it, and he will deliver usc from Your Majesty’s hand. God did indeed save Daniel even though he was thrown into the furnace. God can do the same for each of us. But if He does not, that is His prerogative. He has a bigger agenda and he’s already saved His own for eternity. He will raise Christians from the dead and we will be given new, glorified spiritual bodies that never perish. From what I’ve seen over the years, most violent protesters have decided in advance to protest violently. It’s not like they showed up meaning to be peaceful and then got so irritated they couldn’t contain themselves. They went into the protest with violence in mind. These type of people are not solution-finders and problem-solvers. They exacerbate the problem, they don’t help to change things for the better. They are guilty of the very things they are protesting against. Can anyone see a contradiction in their logic? I fear for those in our country. I fear that the current unrest will increase in the years to come and that we could find ourselves in the biggest race riots our country has ever seen. With top political figures fueling the fire, there is little alternative. For example, a Democratic senator, immediately after the Grand Jury decision was announced in Ferguson, made a statement decrying the decision while violent protests were erupting. That senator is entitled to her opinion but was totally irresponsible to publish her statement when violence was erupting. Adding fuel to the fire is not responsible. It borders on ‘inciting a riot’ which is a crime in itself. People, we need to work together to solve problems. Burning buildings down will solve nothing. Those buildings were owned by people who had nothing at all to do with what was being protested. They were innocent bystanders. Why should they suffer loss? What does that prove? Firing gunshots only increases tensions and endangers innocent lives. Leave your weapons at home if you are serious about peaceful protest. But those who were violent never intended to peacefully protest. Nor were they interested in hearing any reasoning behind the Grand Jury’s decision; they already made their minds up without even having all the evidence to examine. What we should be most concerned with is setting an example for others to follow. Be the type of person you want others to emulate. Do the kind of things that exhibit good toward other people. Work within legal channels to promote positive change wherever it is needed. 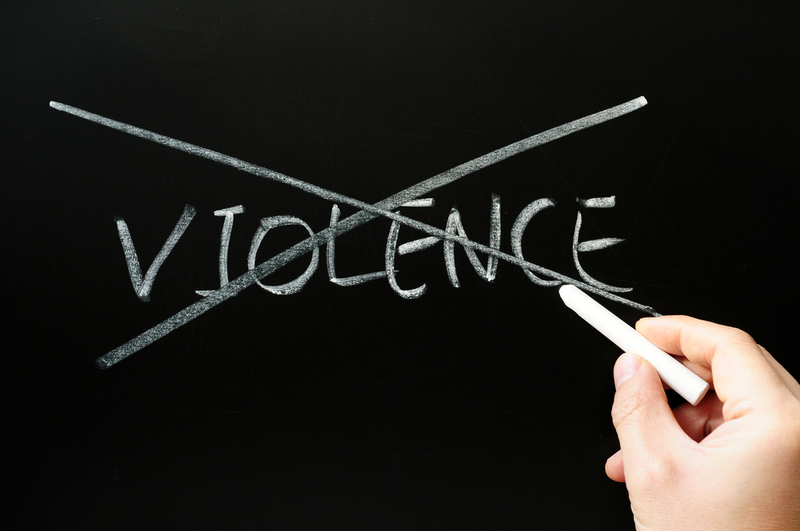 Answer violence with good and you’ll get better, longer-lasting results. We are at a tipping point in the Unites States of America. Let’s all work together to promote positive change in our country instead of threatening and carrying out violence with things we don’t like. Our very freedom depends on us handling these situations that come up responsibly.